This 2/11/15 workshop gathering continues to demonstrate the surge of new families and children with the interest and commitment to attend the Soaring Eagle dance workshops. Respected Elder Randy Edmonds was emotionally affected by recent events and he asked John Hood to provide the blessing. John also spoke to the unique opportunity this gathering offers to the San Diego Native American youth and greater community. We were pleased to welcome back Ms. Mara Peters and Ms. Dina Apple with their news and views of their areas of involvement to the SE workshop circle of friends. The pot luck meal was comfort food and a very delicious level. Meat loaf, mashed potatoes and mixed vegetables was served to all the attendees. 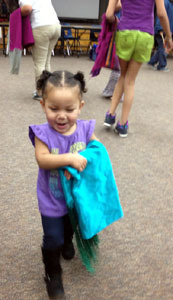 Additionally, there were donuts and Camilles Girl Scout cookies to purchase and share for all to enjoy. Here are views of some of our contest PHILLIPS Bar-B-que $50 meal donated by Abel Jacome and 50/50 bootstrap pot luck fund. The winner, Brenda Torres, returned it back in a very generous gesture. Aho. We continue to appreciate and thank the drum for the songs and all who contributed to this healthy pot luck winter feast. The Soaring Eagles also will appreciate any voluntary donations that will benefit the community potluck feed. 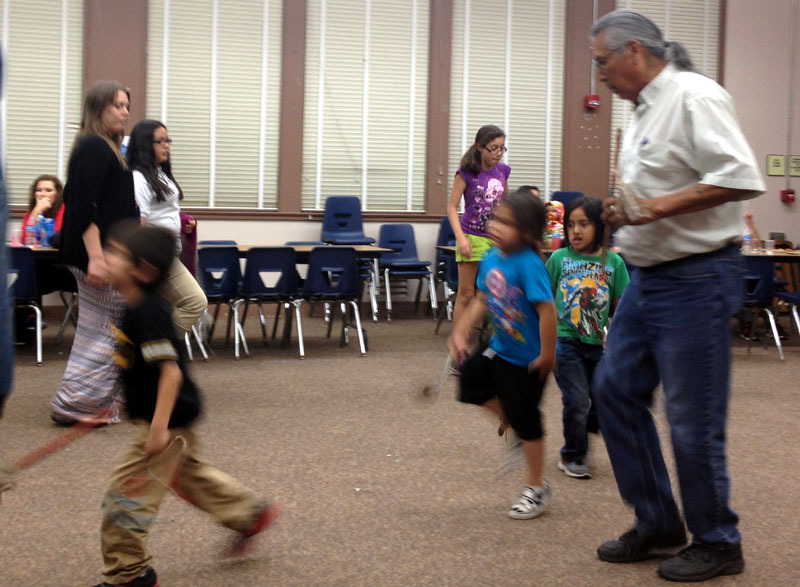 By example these pictures will demonstrate views of our instructor, elders, parents and new and young Soaring Eagle dancers from the 2/11/15 Soaring Eagle Dance workshop at the SDUSD Ballard center in Old Town San Diego. The Ballard Center location is in Old Town: San Diego Unified School District, SDUSD at Ballard Parent Center 2375 Congress St. San Diego, CA 92110. Our next Ballard center SE workshop is at the end of the month. The workshop also continues to encourage the continuity of our tribal cultures and is bound up in the wisdom lessons of traditional life. The wisdom of the traditional role of RESPECT was the theme of heartfelt lessons from tribal life. This new month continues to be a good time to review dance regalia and adjust for growth or wear. However to avoid past disappointments, caution was expressed when ordering outfits that required a large up-front deposit and a murky delivery time. In these times of health and winter trials it is our constant spiritual message to pray for all my relations. May the Creator bless you all and your family, Mehan, Aho.